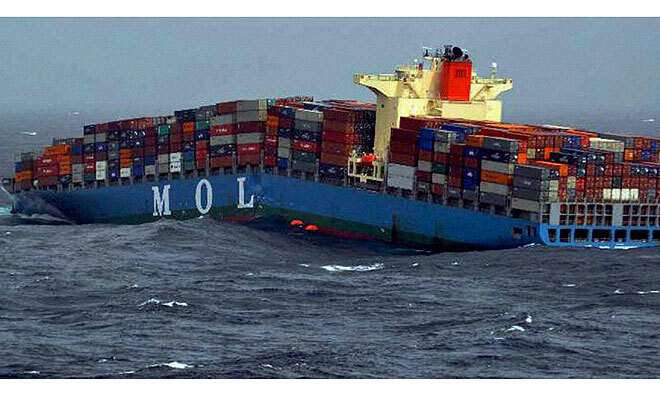 The crew escaped, and for the next 10 days, the two halves of the ship drifted apart in the Arabian Ocean, each laden with containers. 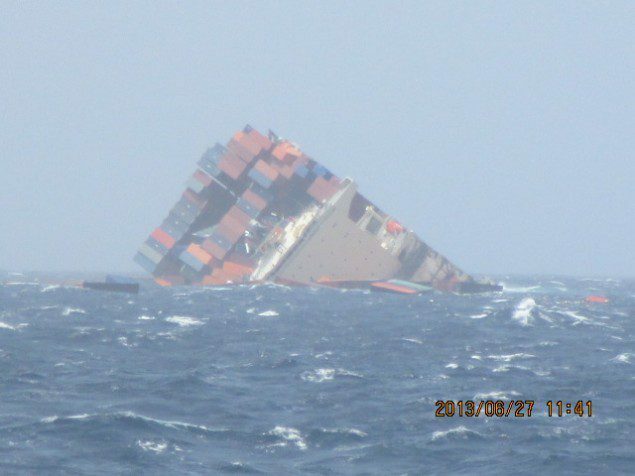 On 27th June, the rear half sank with all its cargo, in 4km of water. Meanwhile the front half began to be towed (backwards) towards Oman. Since 6th July, the front section has been on fire. 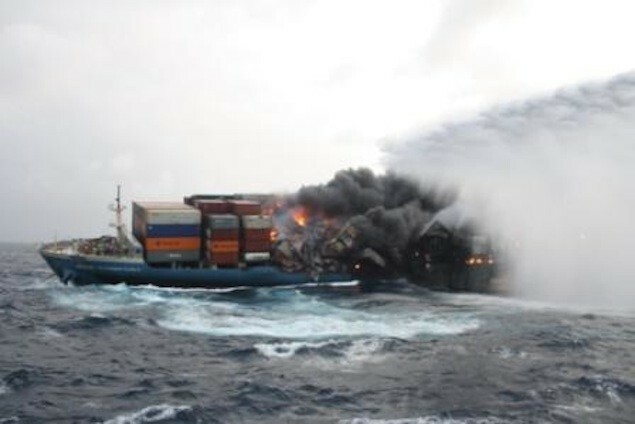 The salvage company/coastguard estimate that approximately 90% of the front half’s cargo has already been burnt. Further, because of the possible presence of dangerous chemicals among the cargo, along with large quantities of oil within the hull, they fear the risk of explosion. Update: did you guess right? The fore half continued burning until its balance was so out of kilter that it sank. It didn’t explode. Call the sum of all four, representing 100% probability “You”. I’ll let you do the workings out. Cheers Larry. Sorry about the highly likely loss of goods. The exercise made me smile, the extension made me spit up tea. Hoping for the the very slim chance that your stuff arrived safe and sound. Banjo has a good starting point here. We also need R (“an external factor which means the other risk factors are correlated”), E (“the likelyhood that you will get compo”), and D (“the dollars you will get in compo”). 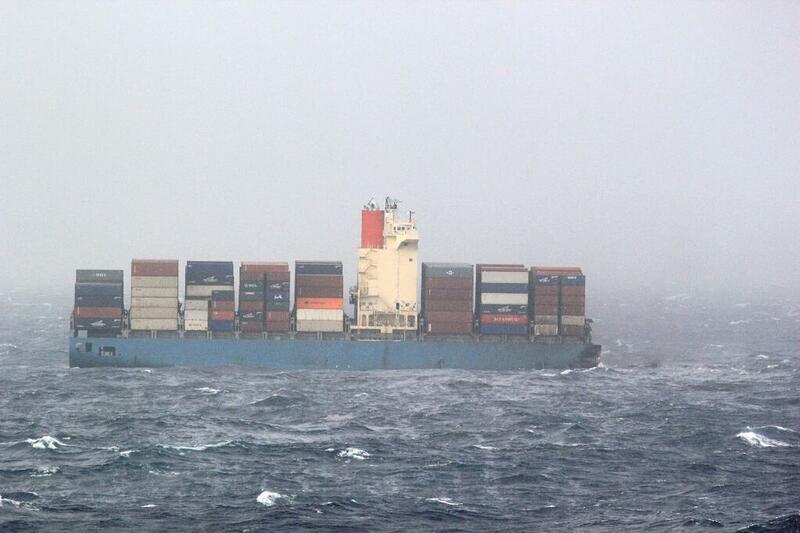 I just got an email to tell me some rare, only-available-in-Japan motorbike parts I ordered were also on that ship. 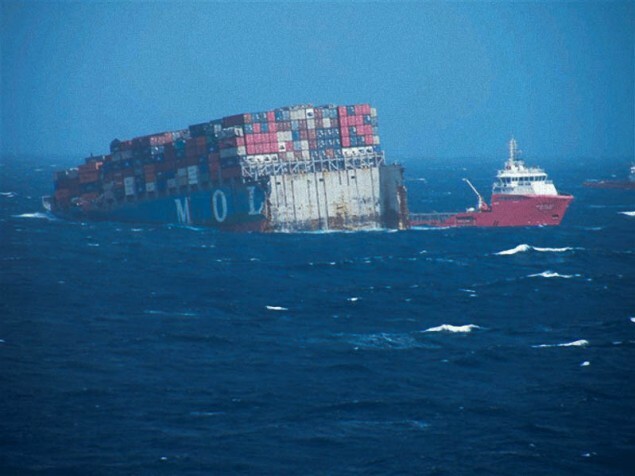 It’s kind of weird to think just how much gets lost when this sort of thing happens – how many containers were carrying luxury cars and so on.